We offer various specialized Chromo light hair treatments to stimulate your hair growth with the Ultima Tuft machine. It may be for hair loss treatments for new hair growth or for a scalp disorder such as scalp acne, oily scalp, sensitive scalp or dandruff. Chromo light therapy is a new and revolutionary hair and scalp treatment based on the energy of light waves and is key to healthy scalp, hair growth and beautiful hair. It is an innovative machine which is packed with special features to provide specialized treatments. 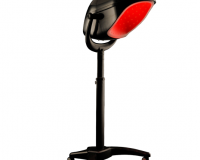 The RED LED chromo light has the ability to penetrate to a depth where the hair follicles reside. When the hair cells are exposed to this form of light, photo-bio stimulation occurs, increasing the ATP: a carrier of energy. This process helps promote blood circulation and stimulates the cells to take up nutrients and dispose of waste products faster. This encourages the regeneration of healthy normal tissues which is key to promote new hair growth. 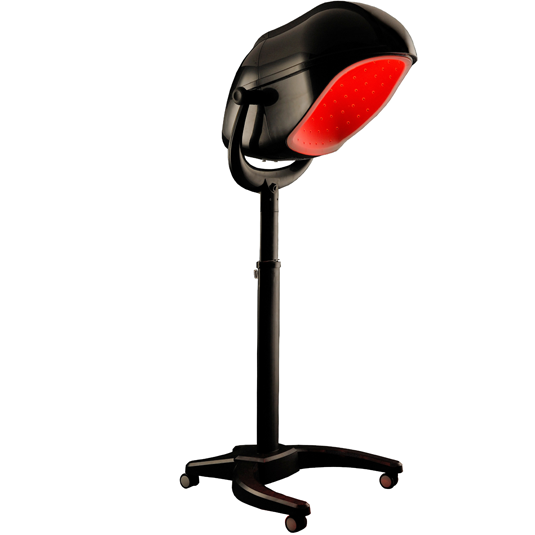 It is a multi functional machine and its BLUE LED chromo light therapy targets scalp disorders and calms the scalp. The BLUE LED chromo lights penetrates the sebaceaous glands and produces singlet oxygen, a bactericide treatment for scalp disorders such as scalp acne, oily scalp, dandruff and sensitive scalp. The machine also has an ozone function for the sterilization of hair and scalp while removing odors due to chemical treatments. Contact us to find out more about the Ultima Tuft treatments to prevent hair loss.